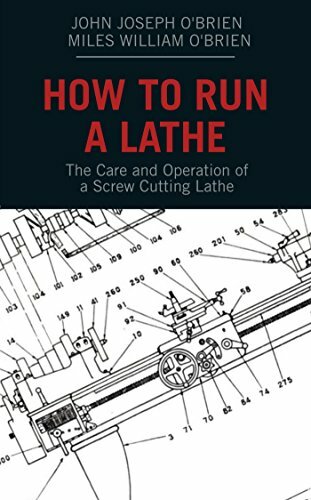 Lathe Bits; Bar Turning Tool; Straight Finishing Tool; Right And Left Hand Cranked Knife Tools; Parting ToolCranked Turning/facing Tool; A Cranked Facing Tool; A Cranked Knife Tool; A Rough Boring Tool; An Inside Corner Tool And A Recessing Tool.The Lathe Tool Set Includes A Cranked Turning/facing Tool; A Cranked Facing Tool; A Cranked Knife Tool; A Rough Boring Tool; An Inside Corner Tool And A Recessing Tool.Made From Drop Forged Tool Steel With Tungsten Carbide Tips; This Set of Eleven Lathe Tools offers The Right Bit For The Job. 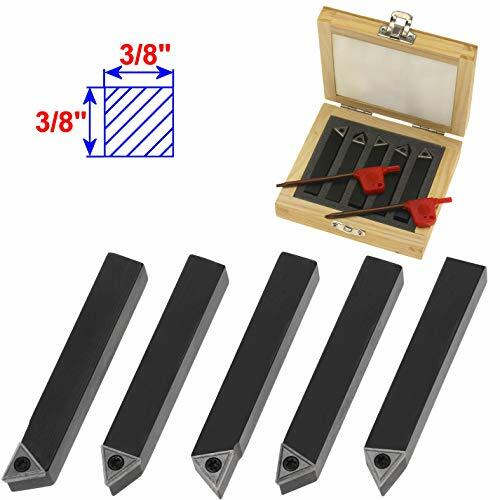 Handle A Variety of Projects With This Versatile Lathe Tool Set!Drop Forged Tool SteelTungsten Carbide Tips5/16 Shanks3 1/4" & 5" Long"
Turn beads like at expert! 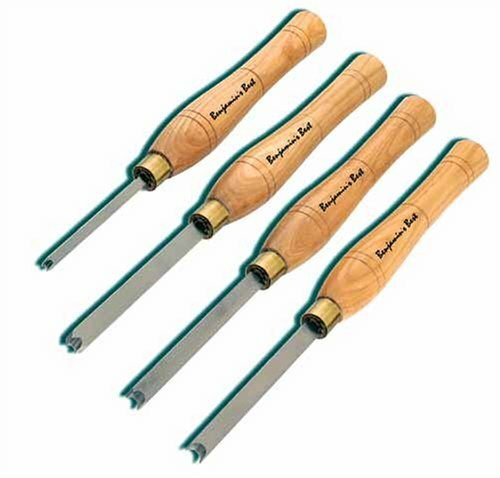 Take the mystery and skill out of cutting perfect beads to exact sizes with this 4 piece HSS Bead Cutting Chisel Set. 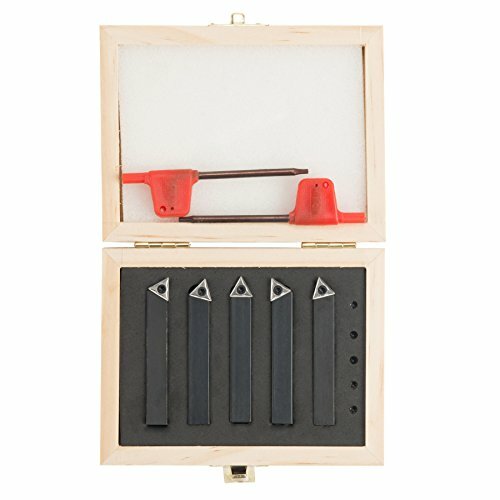 This set includes tools to create 3mm, 6mm, 8mm and 10mm beads. 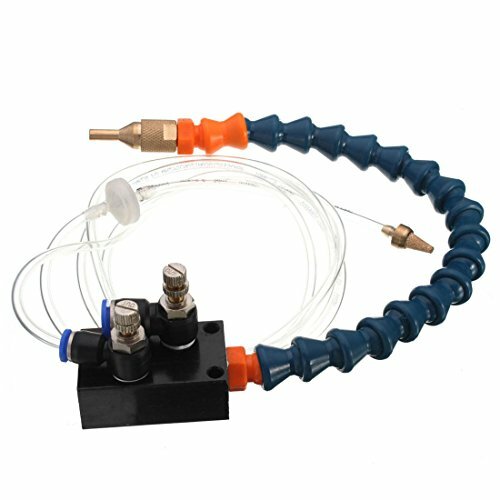 Produces excellent well formed beads you can be proud of. The tools are about 14" long with HSS blades and hardwood handles. 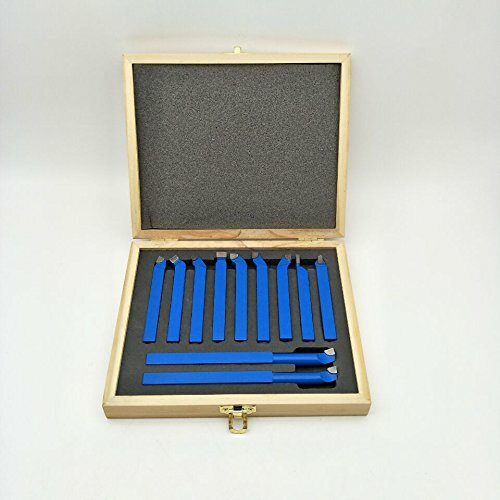 Packaged in an attractive wood carrying case. .
An Exceptional Value For Carbide Lathe Tool Bits! 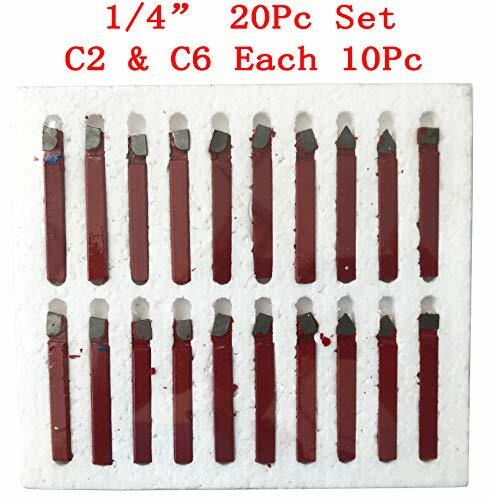 Twenty Piece Set offers Tremendous Savings Over Bits Sold Individually. 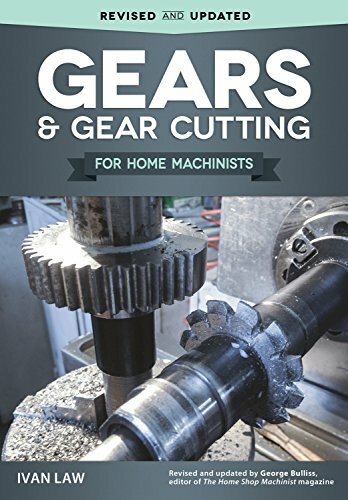 Includes Ten C-2 Grade Bits And Ten C-6 Grade Bits For Cutting Steel And Alloys. 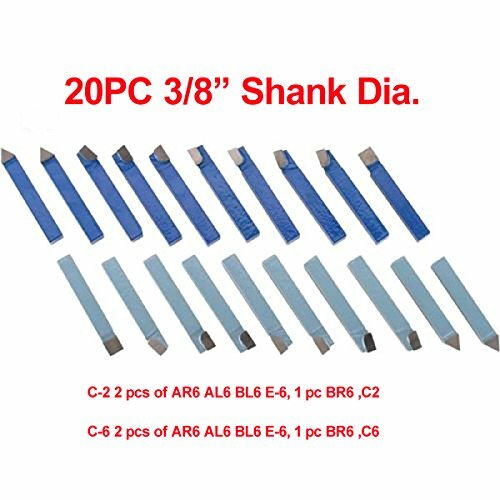 3/8.Specifications:3/8"10 - C-2 Grade Bits10 - C-6 Grade BitsFor Cutting Steel And Alloys.SHIPS SAME DAY IF PAID FOR BY 4PM PST.Thanks For Looking"
An Exceptional Value For Carbide Lathe Tool Bits! 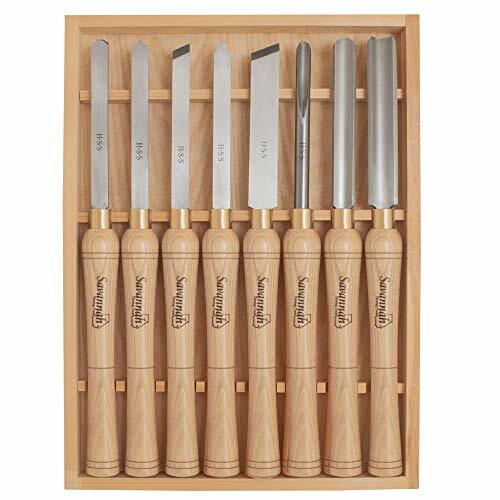 Twenty Piece Set offers Tremendous Savings Over Bits Sold Individually. 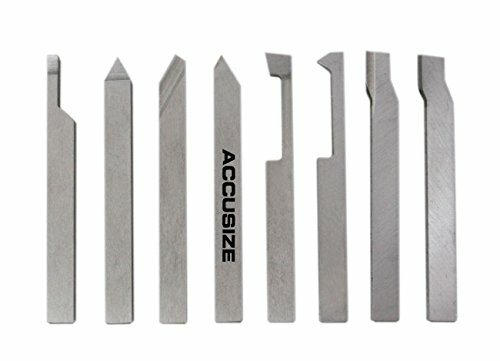 Includes Ten C-2 Grade Bits And Ten C-6 Grade Bits For Cutting Steel And Alloys. 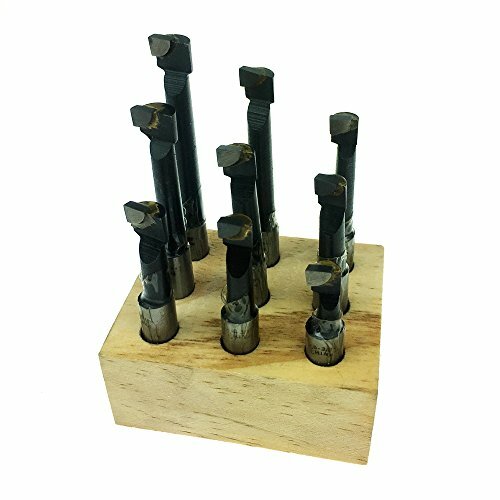 1/4.Specifications:1/4"10 - C-2 Grade Bits10 - C-6 Grade BitsFor Cutting Steel And Alloys.SHIPS SAME DAY IF PAID FOR BY 4PM PST.Thanks For Looking"
1/4" 10 - C-2 Grade Bits 10 - C-6 Grade Bits For Cutting Steel"
3pcs. 5/16" minimum bore (1 ea. 3/4" bore depth x 2" overall, 1 ea. 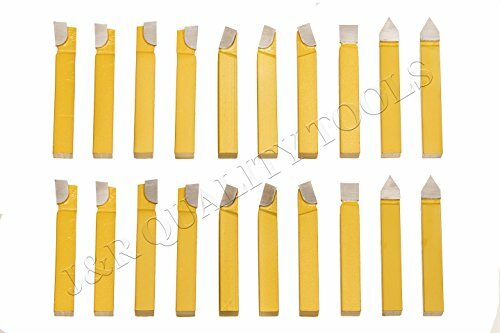 1-1/8" x 2-3/8", 1 ea. 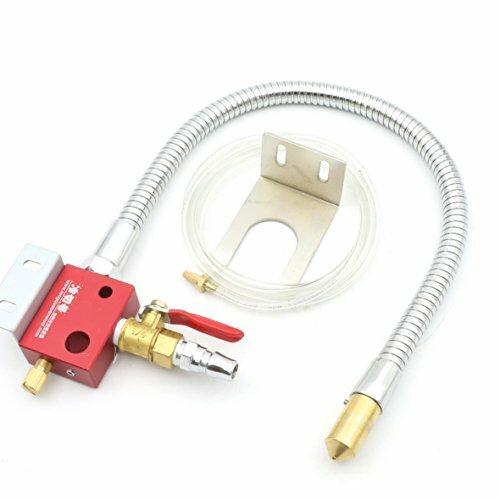 1-1/2" x 2-3/4"); 3pcs. 3/8" minimum bore (1 ea. 15/16" bore depth x 2-13/16" overall, 1 ea. 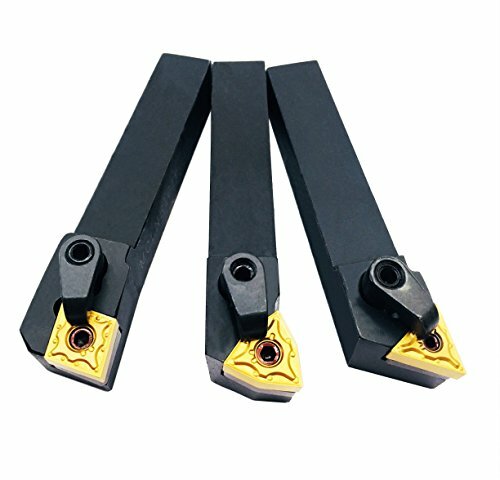 1-13/32" x 2-21/32", 1 ea. 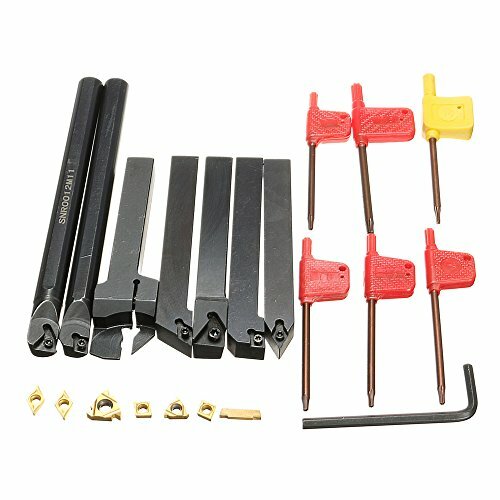 1-7/8" x 3-1/8"); 3pcs. 7/16" minimum bore (1 ea. 1-1/8" bore depth x 2-3/8" overall, 1 ea. 1-11/16" x 3-15/16", 1 ea. 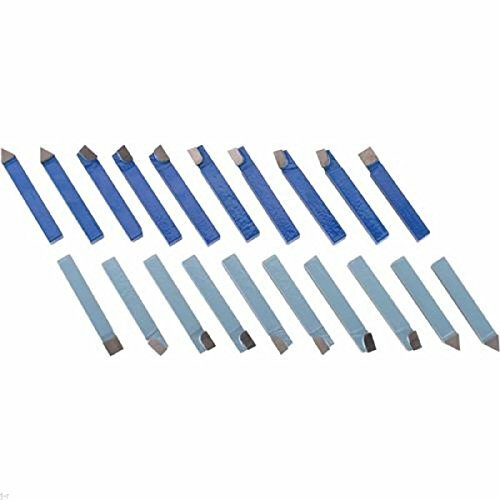 2-1/4" x 3-1/2"); C-6 carbide for use in harder materials and also works great in aluminum or other soft metals; Shank Diameter 3/8", all shanks are made of carbide. Specifications: Model:S12M-SCLCR06/SER1212H16/SCL1212H06/ MGEHR1212-2/SNR0012M11/SDNCN1212H07/SDJCR1212H07 Material: 42cr Wrench: T8 Features: -Profiling bar for semi-finishing and finishing operations; -Bar hardness approximately 45HRC; -Good toughness and hardness, long service life. 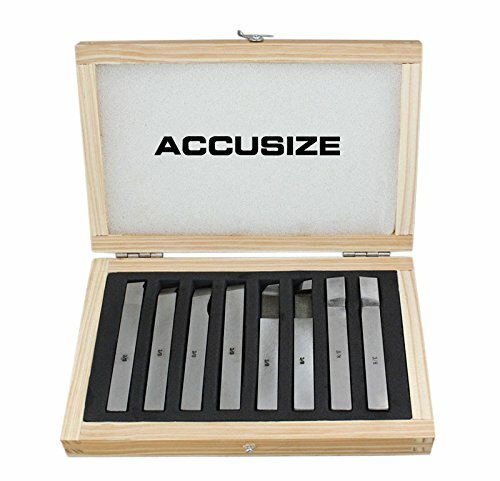 -It can reduce the tool grinding cost and improve the cutting efficiency; -Good low temperature impact toughness, improved the surface gloss of the cutting pieces. Note: Open the tool case carefully. To avoid injury do not touch shape edge. Use safely precaution such as guards and eye protection before using the tool. Exchange a tool when it occure problems such as a noise vibration and a flame. 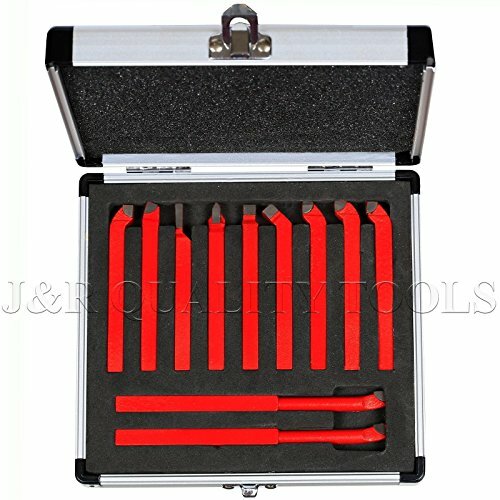 Package Included: 7pcs x Turning Tool Holders 7pcs x T8 Wrenches 7pcs x Inserts Notice: 1.Please allow 1-3mm error due to manual measurement.Pls make sure you do not mind before you bid. 2.The color may have different as the difference display,pls understand.